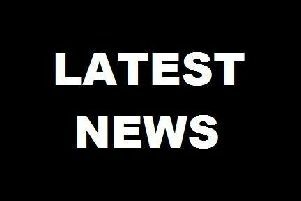 The latest Chesterfield magistrates’ court results as published in the March 9 edition of the Derbyshire Times are listed below. Keegan Hanley, 22, of Moorland Drive, Heath, Chesterfield. Pleaded guilty to using threatening behaviour. Pleaded guilty to having a knife in public without good reason. Must pay a £115 victim surcharge and £300 costs. Committed to prison for 26 weeks suspended for two years. John James, 55, of Brunswick Street, Pilsley. Pleaded guilty to using threatening behaviour. Must pay a £115 victim surcharge and £85 costs. Committed to prison for eight weeks suspended for 12 months with an Alcohol Treatment Requirement and a Rehabilitation Activity Requirement. Michael John Weldon, 26, of No Fixed Abode. Pleaded guilty to damaging a pair of glasses. Must pay £40 compensation. Pleaded guilty to assault by beating. Must pay £100 compensation and £85 costs. Committed to prison for eight weeks. Thomas Elliot Hill, 22, of Hillcrest Close, Bolsover. Pleaded guilty to interfering with a vehicle with the intention of theft of the vehicle or anything in the vehicle. Community order to last until February 27, 2018, with a Rehabilitation Activity Requirement and 120 hours of unpaid work. Must pay an £85 victim surcharge and £200 costs. Michael Kohut, 22, of No Fixed Abode. Pleaded guilty to stealing a bottle of strong cider and a bottle of Echo Falls wine. Pleaded guilty to assault be beating. Must pay £100 compensation. Pleaded guilty to stealing vodka. Pleaded guilty to stealing vodka and food valued at £11.20 belonging Tesco stores. Convicted of a further offence of assault by beating. Must pay £100 compensation and a £115 victim surcharge and £85 costs. Committed to prison for ten weeks. Daniel Lee Parkes, 40, of No Fixed Abode. Pleaded guilty to two counts of stealing a sandwich wrap. Indicated a guilty plea to going to the Middle Pavements, in Chesterfield, which he was prohibited from doing by a criminal behaviour order. Indicated a guilty plea to a further count of entering an area of Chesterfield which he was prohibited from doing by a criminal behaviour order. Pleaded guilty to stealing a sandwich. Pleaded guilty to damaging a Ford Focus. No separate penalty. Pleaded guilty to assault. Must pay £200. Indicated a guilty plea to a further count of entering Chesterfield town centre in an outlined exclusion zone while drunk which he was prohibited from doing by a criminal behaviour order. Non-payment of a £2,097.07 fine. Committed to prison for 20 weeks. Paul Wilfred Leonard Gabbitas, 27, of Rufford Close, Boythorpe, Chesterfield. Pleaded guilty to using threatening behaviour. Discharged conditionally for 12 months. Must pay a £20 victim surcharge. Richard Harry Musgrove, 37, of Talbot Crescent, Chesterfield. Pleaded guilty to being drunk and disorderly in public. No separate penalty. Pleaded guilty to assaulting a constable in the execution of his duty. Committed to prison for four weeks suspended for 12 months. Must pay £50 compensation and a £115 victim surcharge and £85 costs. Jay Frisby, 24, of North Wingfield Road, Grassmoor, Chesterfield. Pleaded guilty to harassment. Committed to prison for eight weeks suspended for 12 months with a Rehabilitation Activity Requirement. Must pay £115 victim surcharge and £85 costs. Restraining order to last until February 28, 2019. Daniel Small, 43, of No Fixed Abode. Pleaded guilty to stealing a bottle of gin. Pleaded guilty to assaulting a police constable. Must pay £25 compensation and a £90 victim surcharge. Committed to prison for nine weeks. Leslie John Cox, 29, of Thorntree Court, Grangewood, Chesterfield. Admitted failing to comply with the requirements of a community order in that he failed to report to the relevant officer. No adjudication. Dealt with for the original offence of stealing three jars of coffee, three packets of Lenor Unstoppables and three bottles of Charlie Perfume valued at £33.61 belonging to B&M Bargains. Pleaded guilty to stealing joints of meat valued at £25.03 belonging to Morrisons. Must pay a £115 victim surcharge and £85 costs. Committed to prison for six weeks suspended for 12 months with a Drug Rehabilitation Requirement and a rehabilitation Activity requirement. Wayne Thomas Durrance, 39, of Talbot Crescent, Hasland, Chesterfield. Admitted failing to comply with the requirements of a community order by failing to attend with a responsible officer. Fined £40. Indicated a guilty plea to possessing six grammes of cannabis, a controlled drug of class B. Fined £40 and must pay a £30 victim surcharge and £85 costs. Nathan Michael Mills, 21, of Meynell Close, Brampton, Chesterfield. Indicated a guilty plea to possessing cocaine, a controlled class A drug. Fined £120 and must pay a £30 victim surcharge and £85 costs. Indicated a guilty plea to possessing 0.4grammes of MDMA, a controlled class A drug. No separate penalty. Danny Boam, 20, of Mill Hill Close, Ripley. Pleaded guilty to driving a vehicle otherwise than in accordance with a licence. No separate penalty. Pleaded guilty to using a vehicle without insurance. No separate penalty. Pleaded guilty to being the driver of a vehicle owing to the presence of which an accident occurred whereby damage was caused and failed to report the accident to police. Must pay an £85 victim surcharge and £85 costs. Disqualified from driving for 12 months. Paul Robert Hendry, 59, of Blandford Drive, Newbold, Chesterfield. Pleaded guilty to driving a vehicle without due care and attention. No separate penalty. Pleaded guilty to being the driver of a vehicle owing to the presence of which an accident occurred whereby someone was injured. Fined £334 and must pay a £33 victim surcharge and £85 costs. Driving record endorsed with six points. Pleaded guilty to failing to report the accident to police. No separate penalty. Gary Andrew Utton, 51, of Holme Close, Dronfield Woodhouse. Pleaded guilty to exceeding the alcohol drink-drive limit. Community order to last until March 1, 2018, with 180 hours of unpaid work. Must pay an £85 victim surcharge and £85 costs. Disqualified from driving for 36 months. Nathan Luke Wade, 25, of Rhodes Avenue, Chesterfield. Pleaded guilty to being the driver of a vehicle owing to the presence of which an accident occurred whereby damage was caused to another vehicle and failed to report the accident to police. Community order to last until March 1, 2018, with a Rehabilitation Activity Requirement and 80 hours of unpaid work. Must pay an £85 victim surcharge and £85 costs. Pleaded guilty to using a vehicle without insurance. No separate penalty. Disqualified from driving for 18 months. Pleaded guilty to driving otherwise than in accordance with a licence. No separate penalty. David John Allen, 38, of No Fixed Abode. Pleaded guilty to stealing aftershave valued at £200 belonging to Superdrug Stores. Must pay £200 compensation. Admitted committing a further offence during the operational period of a suspended sentence order for an offence of theft. No adjudication. Dealt with for the original offence of stealing a Dash Cam and Laser Level which was subject to the suspended sentence order. Committed to prison for 14 weeks. Marc Maltby, 22, of Gloucester Road, Chesterfield. Indicated a guilty plea to stealing two wireless PS4 controllers and a PS4 game. Must pay a £115 victim surcharge and £85 costs. Committed to prison for two weeks suspended for 12 months. Rebecca Hutchinson, 27, of Hurst Rise, Matlock. Pleaded guilty to assault. Two year conditional discharge. Must pay a £20 victim surcharge and £85 costs.